Patrick O’Rourke, a certified public accountant in Washington, D.C., has a young son who is very good at baseball. Over dinner with some friends whose children are also athletes, O’Rourke was told that his son should be playing lacrosse because there are better scholarship opportunities. Originally from Seattle and aware that there aren’t a whole lot of collegiate lacrosse programs on the West Coast — or even beyond the East Coast — he was dubious and decided to do some research on his own. His findings led him to create ScholarshipStats.com, which offers a comprehensive look into collegiate athletic programs and the number of scholarships they offer. It wasn’t only a great way to win a dinner argument — only 576 colleges offered lacrosse last season, compared with 1,673 that offered baseball — but it was a sobering reminder of just how unlikely it is that a high-school athlete will earn an athletic scholarship, never mind a free ride. The National Collegiate Athletic Association (NCAA) notes that there are roughly 8 million high-school student athletes in the U.S. Of those, only 480,000 go on to play a sport at an NCAA school. 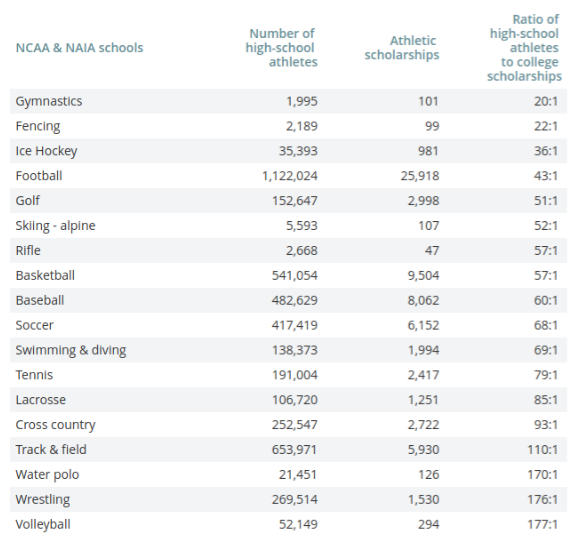 All of those athletes are vying for a portion of the scholarship funds that the NCAA values at $2.9 billion. Some students will get enough money to cover tuition and room and board, but many will only get a partial scholarship. And college costs have risen a lot in recent years. According to the College Board, it costs an average of $20,092 to cover tuition, room and board for a year at a public college as an in-state student. At a private college, it costs an average of $45,385. 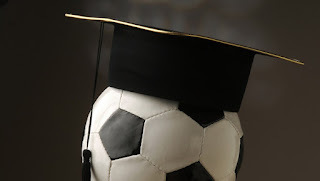 Only institutions in the NCAA’s Division I and Division II offer athletic scholarships. Members of smaller athletic associations like the National Association of Intercollegiate Athletics and the National Junior College Athletic Association offer scholarships to athletes, but at a fraction of NCAA rates. 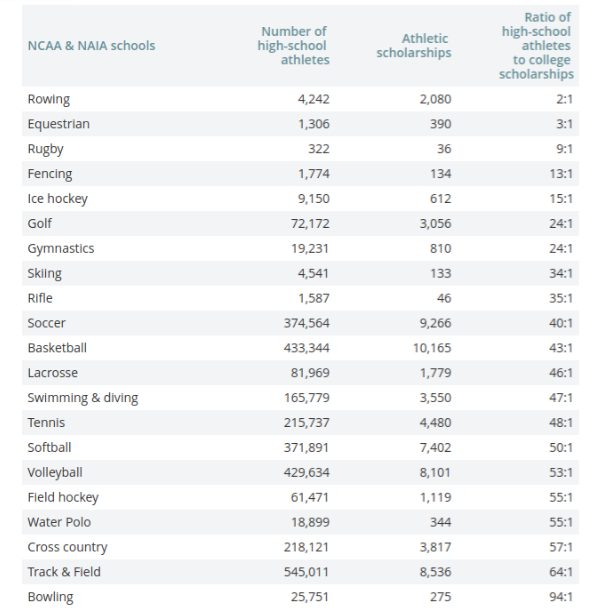 In 2015, the $520 million those two lower-tier organizations offered student athletes was less than the $578 million offered by the NCAA’s Division II and was just a fraction of the $3.3 billion in athletic scholarships offered that year.